The IBM S/360 computers was the first family of computers could complete both scientific and commercial applications. It was released in 1964, and could complete 34,500 instructions per second. 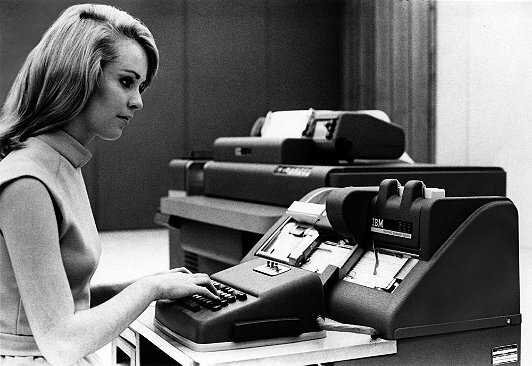 This is an image of a woman sitting at a printing apparatus with IBM 360 (specifically Model 40) in the background. 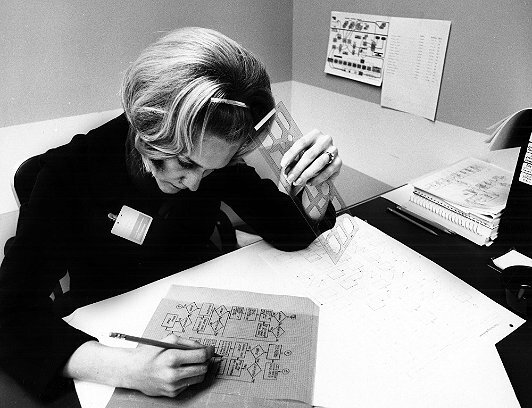 Photo courtesy of the Computer History Museum Archive. 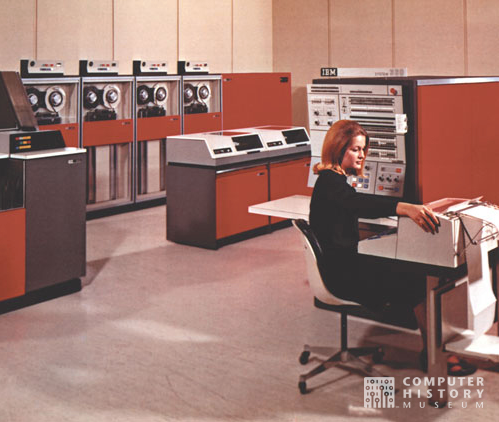 For more information regarding the IBM System 360, visit the IBM 100 page. “Dumb terminals” were a series of computers that allowed many people to use the mainframe at the same time. 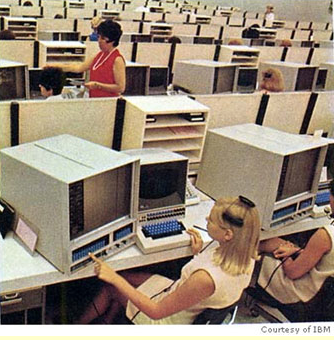 The image below shows a group of women using these IBM computers to manage airline reservations in a timeshare environment. of women at IBM, click the Archives link to be redirected. This is another image of both women and men using the SABRE Reservations System. 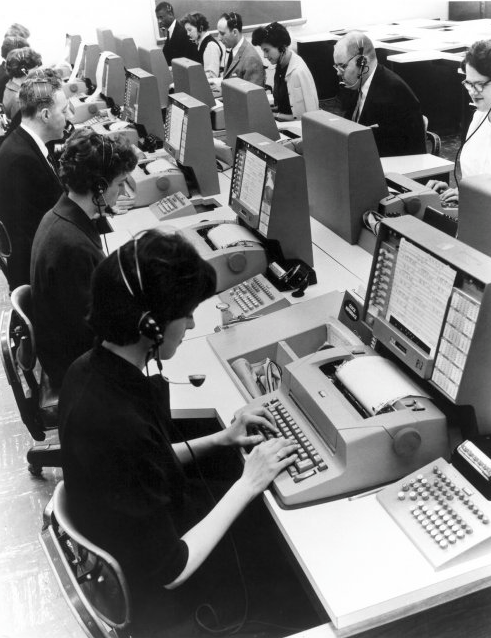 It is interesting to note that a version of the SABRE system is still used to book airline reservations today. Photo courtesy of Christopherson Business Travel. 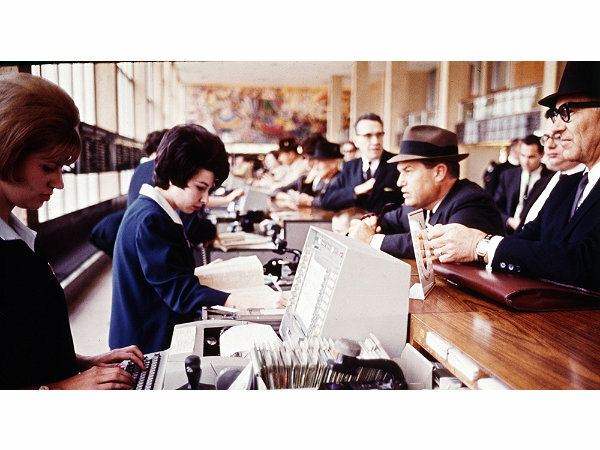 For more information on the history and usage of SABRE Airline Reservation Systems, please read the original CBT article. 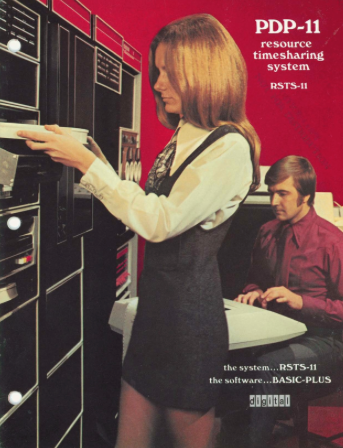 The 1971 DEC Resource Timesharing System (RSTS) was a software system designed to allow multiple users to interact with a DEC PDP-11 minicomputer (shown below). 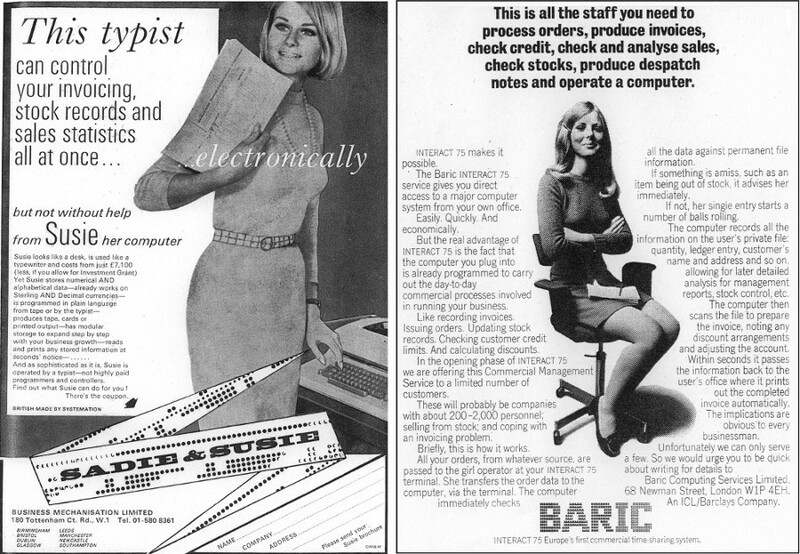 The artwork here shows a woman inserting a disk pack into the computer while the man is sitting at a DEC terminal/typewriter (and known as a DECWriter). the Computer History Museum webpage. When you think of the United States and the 1960’s, one image that comes to mind is NASA and the space race. 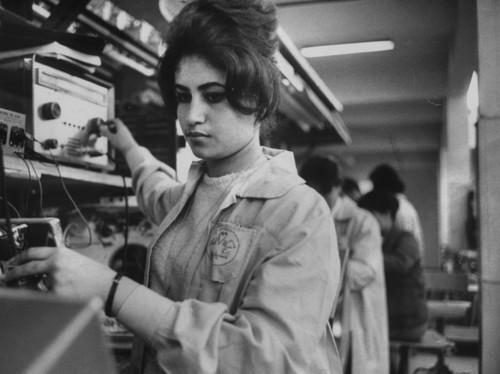 However, people commonly overlook the Lovelace Woman in Space program that established in 1960. Co-created by Brigadier General Donald Flickinger and Dr. W. Randolph Lovelace, the WISP was designed from a practical, engineering point of view, which theorized that women ought to be trained for space expeditions due to lower their body weights and oxygen requirements. 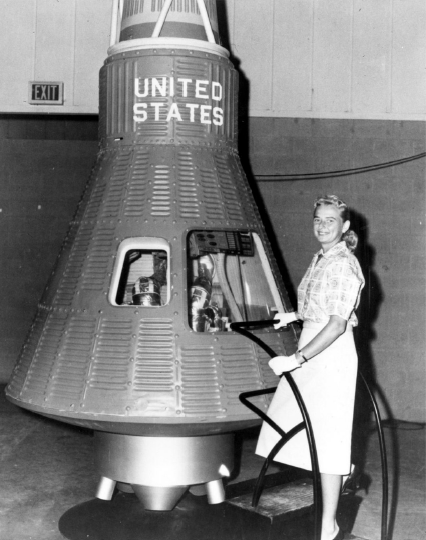 Below is a picture of Geraldine “Jerrie” Cobb beside a Mercury capsule. 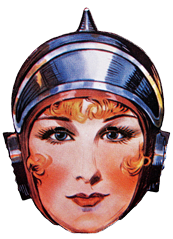 Lovelace Women in Space Program, please read the Historical Perspectives PDF located here.